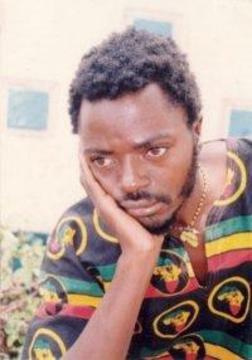 A musician of international repute, Matafale was born in 1969 and he died in Police custody in the November of 2001. He is the founder of The Black Missionaries Band. Matafale appeared on the music scene in 1999 with the release of Kuyimba 1 which was followed by Kuyimba 2 in 2000. In 2001, Matafale released a single Time Mark after the Al Qaeda bombings of the US and it was expected to feature in his third album. However, he died before the continuation of the album and it was his band under the leadership of Musamude Fumulani that continued with i t.
He took over as the band leader of The Black Missionaries after the death of Evison Matafale. In the September of 2008, he succumbed to Tuberculosis. A great lyricist, his voice is the one that does all the English songs of the band from Kuimba 3 up to Kuimba 6 which was the last album that he did with them of which Rastaman’s wife and Reggae Music High are some of the well-known tracks that have his voice on the lead. A cousin to Matafale and Musamude, he started his career away from The Black Missionaries with his album Ndikuyimba in 2002, he later released another album Mphamvu Yake Mulungu. He died of Tuberculosis in 2009 while working on his third album, Loto la Farao, which was eventually finished by his younger brother, Moda. Gift was born in 1981. The tree whose roots Evison, Musamude and Gift got linked through is Enock Robert Fumulani who was not a musician himself but a composer with Gift Fumulani’s Chirombo being the well-known composition he made. Enock Robert died last year, 2012, in July aged 96. Anthony Makondetsa, a grandchild of him like the other members of Black Missionaries, dedicated his latest album, Fuko Lokondedwa, to him and wrote the song Mtengo wagwa in honour of him. The Black Missionaries as well did the song Okondedwa in Kuimba 9 in his honour. Previous articleKenny Klips tops the DJs in Blantyre in the Chill DJ Battle.